Everyone arriving in Kolkata for the first time totes a bagful of preconceptions, mostly from books or films such as City of Joy. It’s true that, like all of India’s megacities, it has its less attractive sides. But once tamed it reveals an atmosphere that’s all its own. 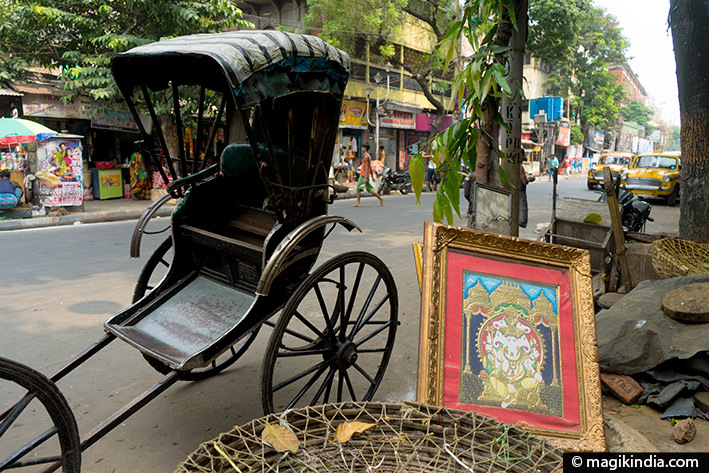 To appreciate its charm, take a stroll around Chowringhee and Market Street or share a moment of adda with local people. 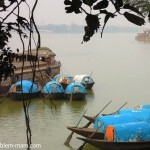 The home town of Rabindranath Tagore will surprise you. Kolkata (formerly Calcutta) is the capital of the Indian state of West Bengal. It is East India’s main commercial, cultural and educational centre. The entire Kolkata metropolitan area has a population of some 20 million, making it the third most populous metropolitan area in India. Of the city’s eventful history, let’s just mention that Kolkata was the capital of British India from 1773 to 1912, when Delhi took over that function owing to Kolkata’s geographical disadvantages and the growth of nationalism. 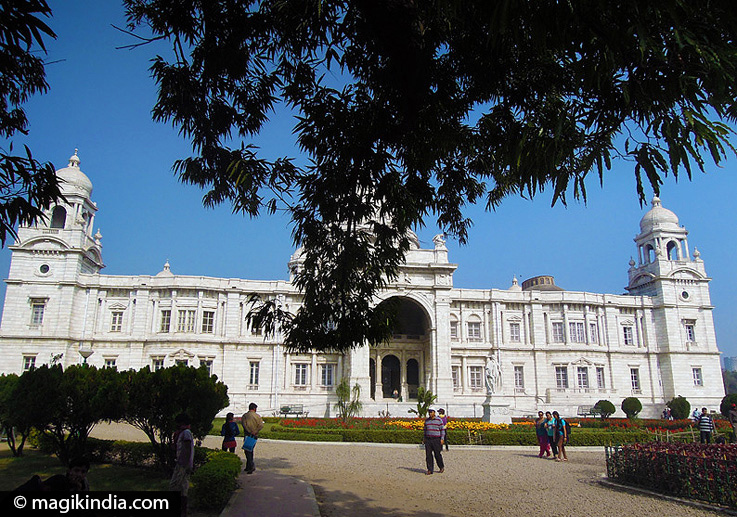 With its 12 universities, Kolkata is renowned as a major cultural centre. Many of the country’s intellectuals have come from Kolkata. Rabindranath Tagore was one such. 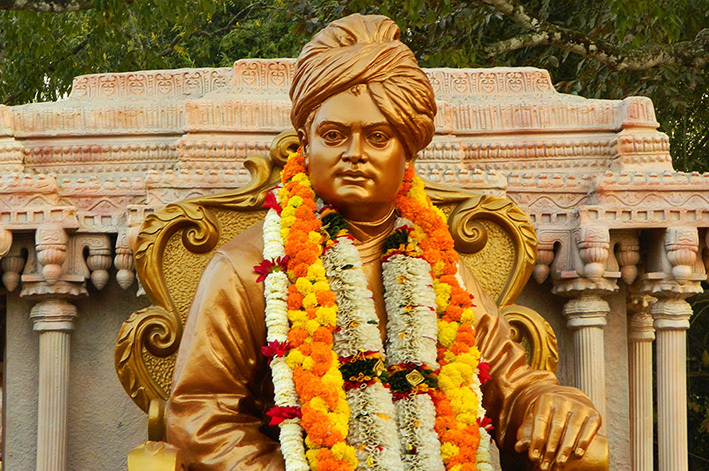 And then there are the spiritual figures who have contributed to Kolkata’s fame: Ramakrishna, Vivekananda and Mother Teresa. Adda is an integral part of Bengali culture. It can be described as casual conversation or friendly discussion that can sometimes turn into a verbal joust. It often takes place after the day’s work as a well-deserved moment of leisure, accompanied by chaat (Indian snacks) and of course chai tea served in an earthenware cup. 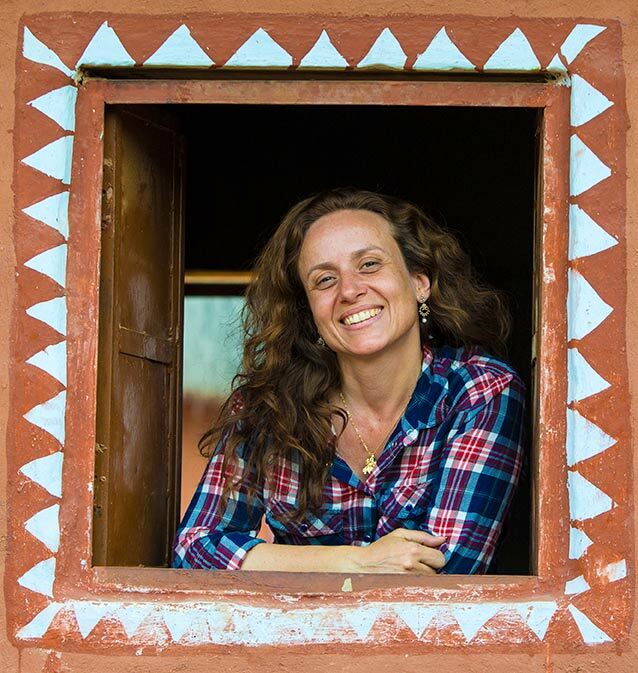 Discussions can start up spontaneously in all kinds of places – on doorsteps and staircases, in the office or on the pavement – and can be about any subject. 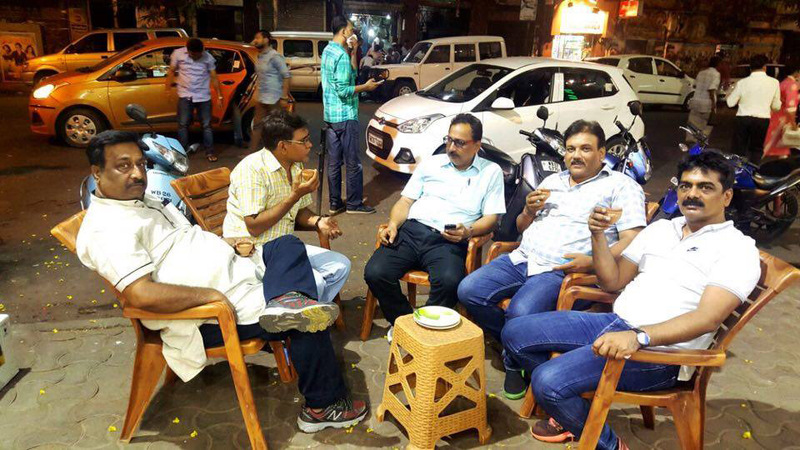 An adda may involve people of all ages and cultural and religious horizons. There are also more elitist addas, rather like English debating clubs, where the subject (literary or sporting, for example) is decided in advance and aimed at a certain category of people. 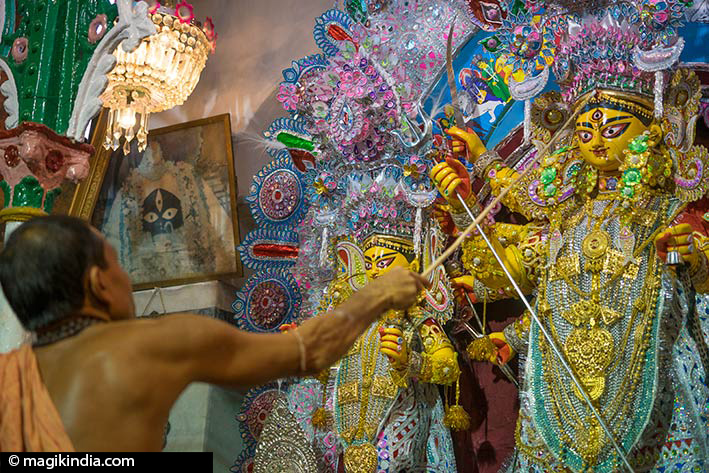 => READ MORE ABOUT DURGA PUJA FESTIVAL ! 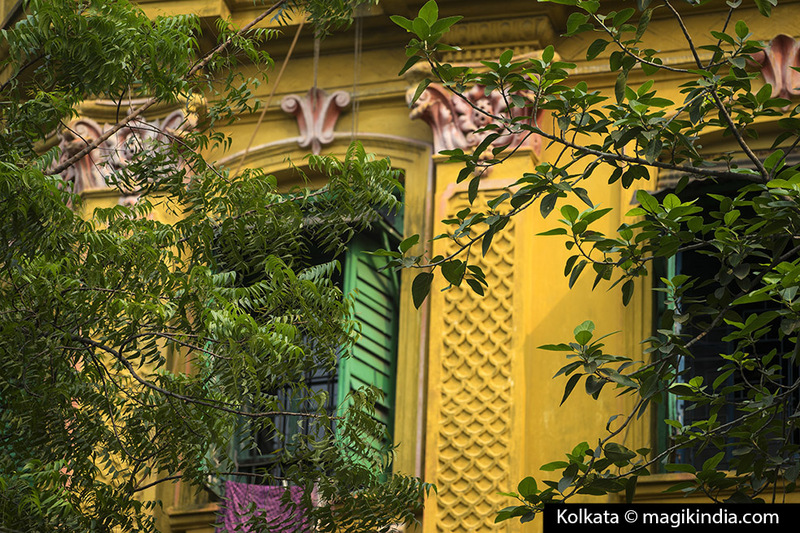 Chowringhee and New Market are places to hang out to feel the city’s pulse. On the way to Kalighat temple you pass through the bustling Chowringhee district, the beating heart of the city, very overcrowded but very Kolkata. 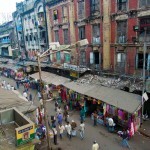 Chowringhee Road, its wide main street running north-south through the city, is the best known. It is lined with shops, restaurants, street food, bazaars, a museum, theatres and numerous buildings listed as national heritage. The southern part is the business district, with high-rise office blocks. New Market on Lindsey street remains at the core of the shopping experience in the city. Thousands stalls under its roof sell everything from clothing to wheeled luggage to electronics to special food. 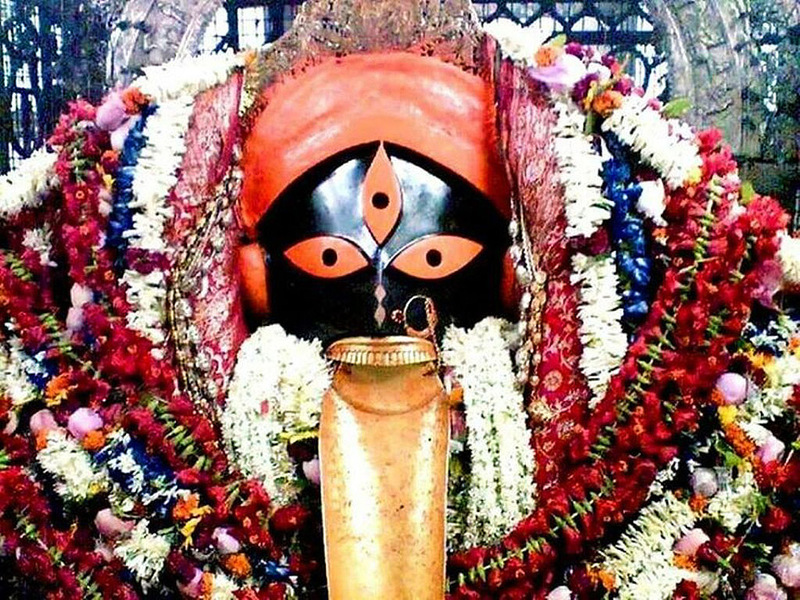 Kalighat is one of Kolkata’s most important Kali temples, along with Dakshineswar. 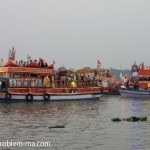 It is one of the 51 Shakti Peethas: it is supposed to be the place where the toes of Sati’s right foot fell. It is a pilgrimage centre for Shaktas, i.e. devotees of Shakti, the female creative power. 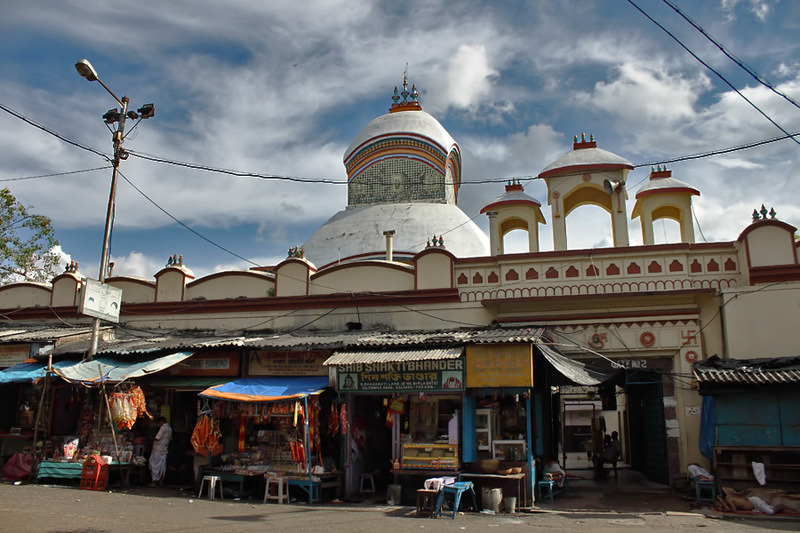 In its current form, Kalighat temple is only about 200 years old. The original temple was a small hut. A small temple was built by King Manasingha in the early 16th century. 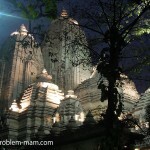 The present one was built under the patronage of the Chowdhury Sabarna Roy family of Banisha and was completed in 1809. 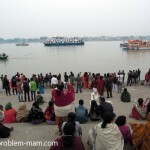 Kalighat was a holy Ghat (landing stage) on the Bhagirathi, the former course of the Hooghly. 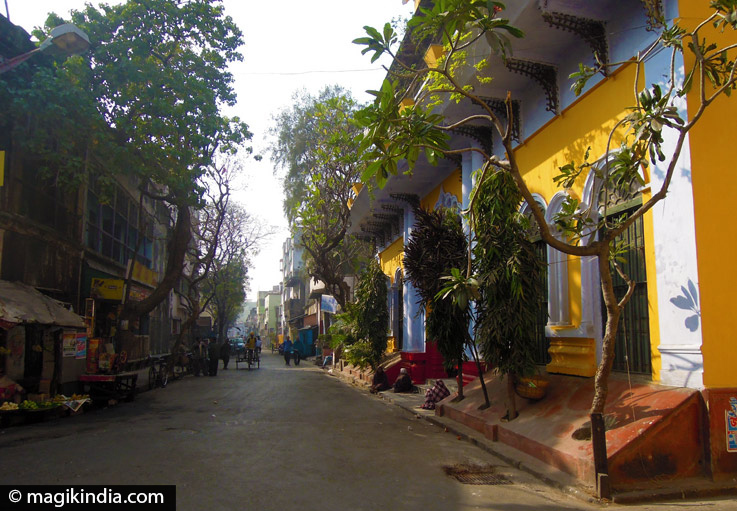 The city’s name derives from the word Kalighat. 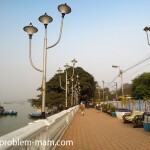 Over time the river’s course has shifted away from the temple, which now stands on the banks of a small canal called Adi Ganga which flows into the Hooghly. 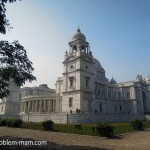 Near the Hooghly river stands the Victoria Memorial, a large marble building erected between 1906 and 1921 and dedicated to the memory of Queen Victoria (1819-1901). It is now a museum. The architectural style is Indo-Saracenic Revival, a mixture of British and Mughal styles with some Venetian, Egyptian and other elements. 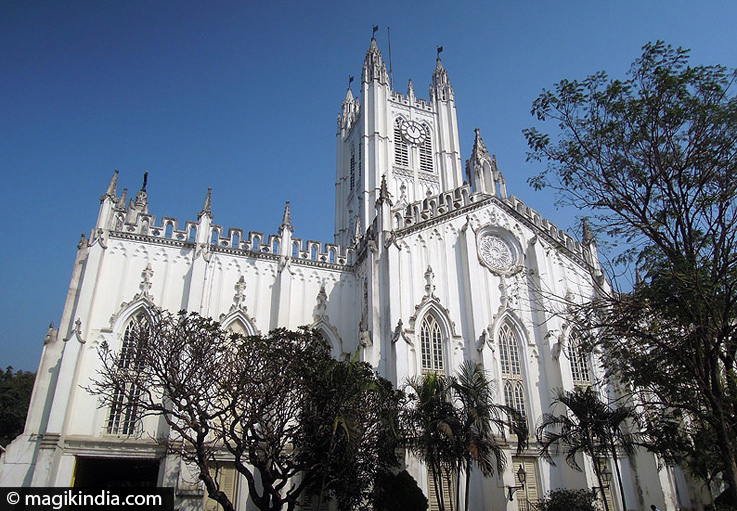 Near the Victoria Memorial stands the Anglican cathedral, St. Paul’s. Completed in 1847, it is built in Neo-Gothic style with frescoes and stained glass windows in Florentine style. 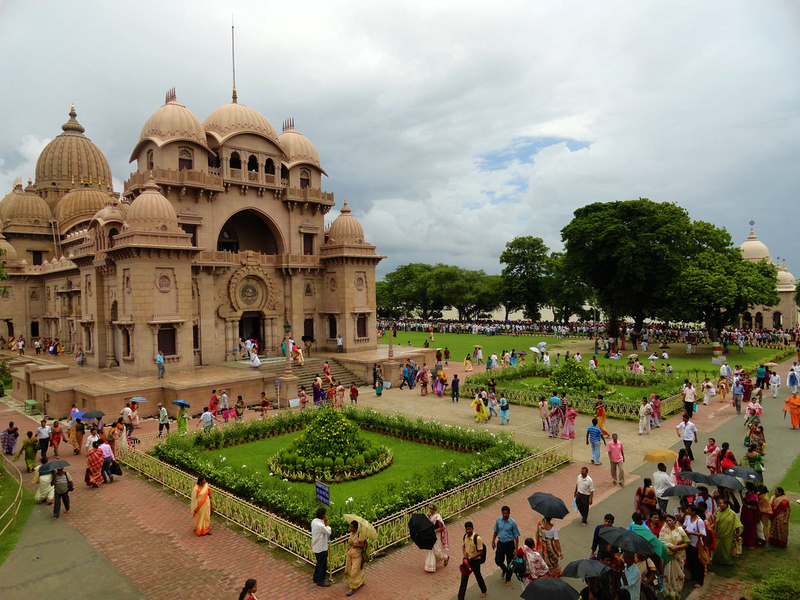 Belur Math is the headquarters of the Ramakrishna Mission, founded by Swami Vivekananda, a disciple of Ramakrishna. Both men are considered as holy men. Belur Math stands on the west bank of the Hooghly and is one of the largest institutions in Kolkata. The main temple is a fusion of Hindu, Christian and Islamic styles, symbolising the essential unity of the three religions. 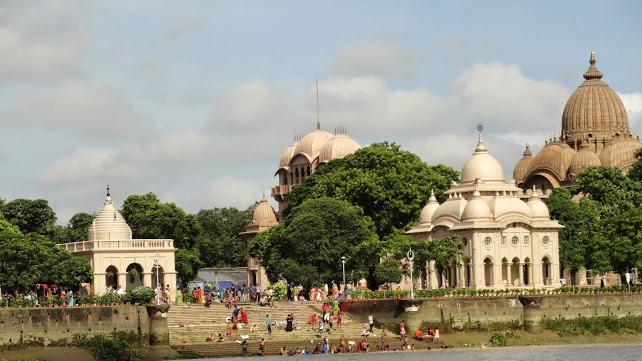 Belur Math’s 160,000m2 comprises the Ramakrishna order’s main monastery and temples dedicated to Ramakrishna, Sarada Devi and Swami Vivekananda and housing their relics. The gardens are beautiful and very pleasant to walk around. Photography is banned, inside and out. 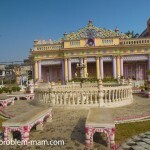 This temple to Radha-Krishna was built by a rich industrial family, the Birlas, and was completed in 1996. The interior is truly opulent and the outside is especially impressive after dark with its night-time illuminations. Make sure not to take your camera or you will be refused entry. This Jain temple is located in Badridas Temple Street. 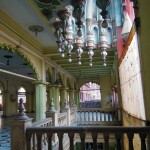 It was built by Marwari Shrimal in 1867. It is dedicated to Paresnath, the 23rs Tirthankar (Jain saint). The main idol, in the sanctum sanctorum, has diamonds set into its forehead. A lamp of ghee (clarified butter) has burnt continuously ever since the temple was built in 1867. 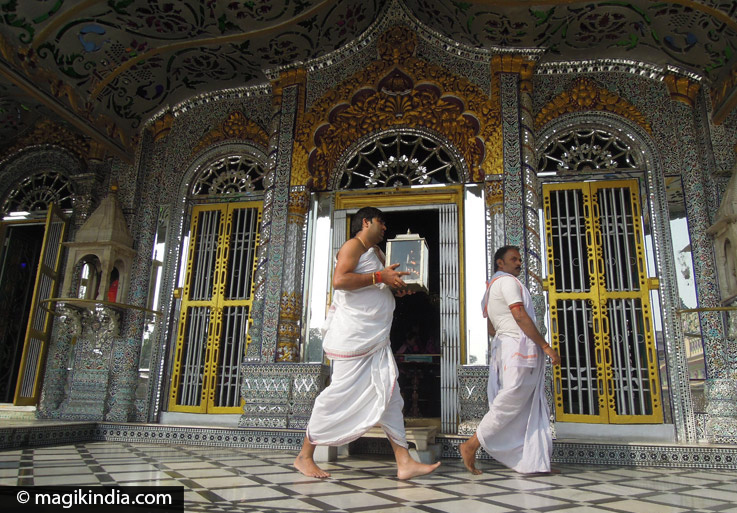 This temple is a must-go for the richness of its decoration. The neighbourhood around it is very pleasant too. 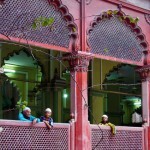 Nakhoda Masjid is Kolkata’s main mosque. 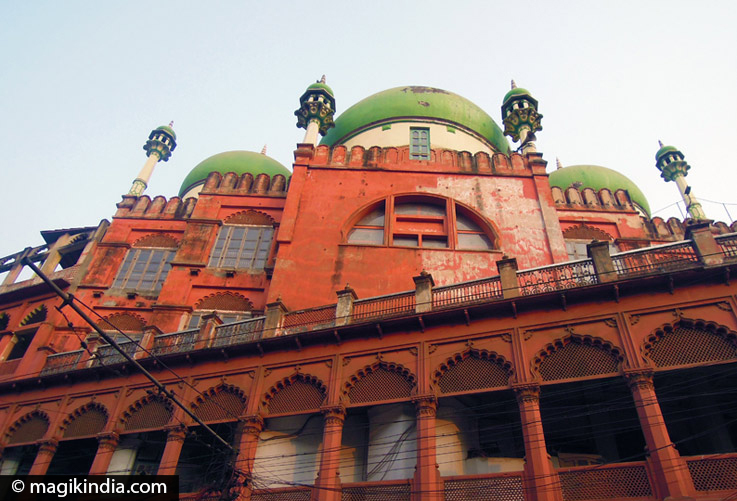 It is located at Chitpur, in the Burrabazar district, and is red with green domes. The prayer hall can accommodate 10,000 people. The mosque has three domes, two 46m minarets and 25 smaller ones. The interior shows a real sense of aesthetics. It is unquestionably one of the loveliest interiors in Kolkata. The bustling Burrabazar in the streets all around the mosque is well worth exploring. 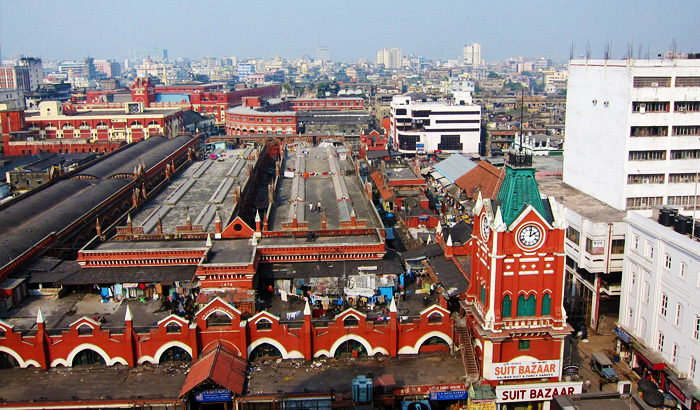 Originally a yarn and cloth market, it has become Kolkata’s commercial nucleus and one of India’s largest wholesale markets. An unbelievable overload of colours and fragrances, pulsating with frenetic activity. You’ll be back for more! 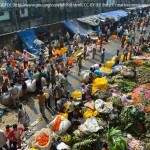 This wholesale flower market by Howrah Bridge is one of the biggest in Asia and is open practically round the clock, seven days a week. 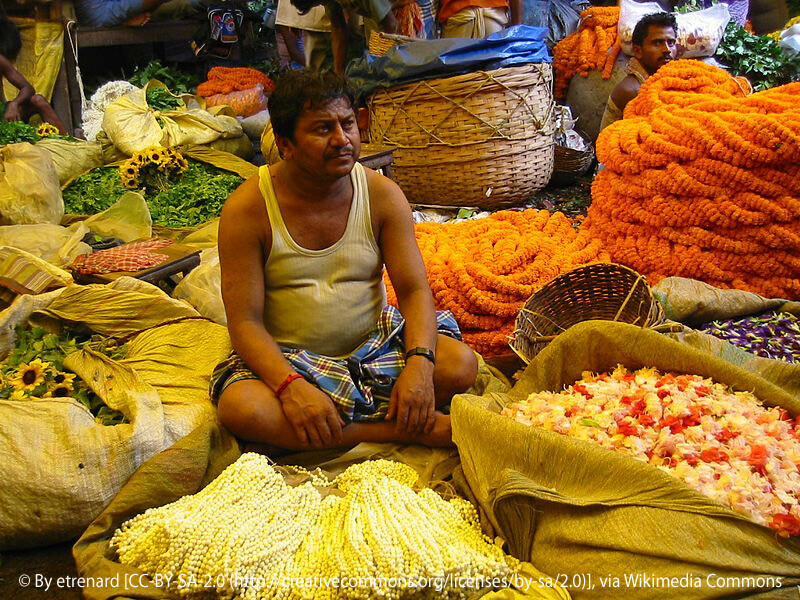 Nearly 2000 flower sellers are here each day, a figure that doubles during the wedding season. 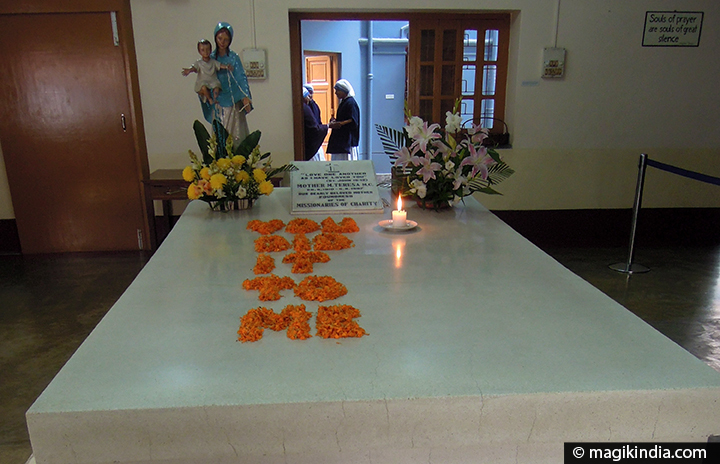 Mother House, which houses Mother Teresa’s tomb, is worth stopping at just to honour her memory and the example of self-sacrifice she left us. The tomb bears the inscription “YOU DIT IT TO ME”. 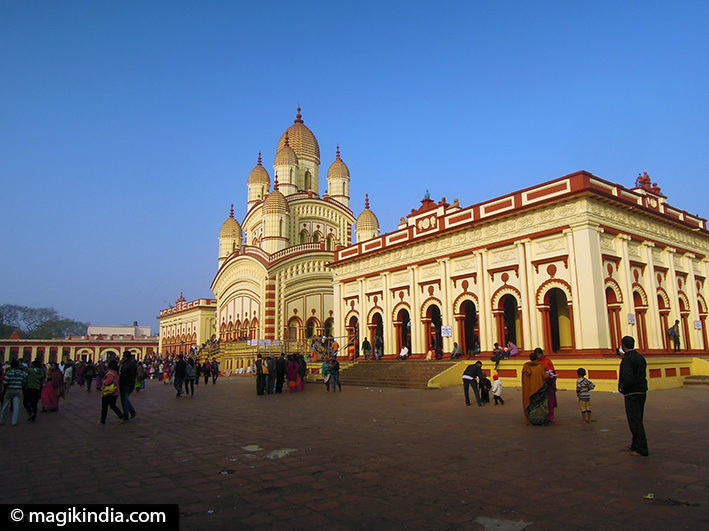 Dakshineswar Temple on the east bank of the Hooghly in Howrah is one of India’s most famous Kali temples, and one of my favourites. 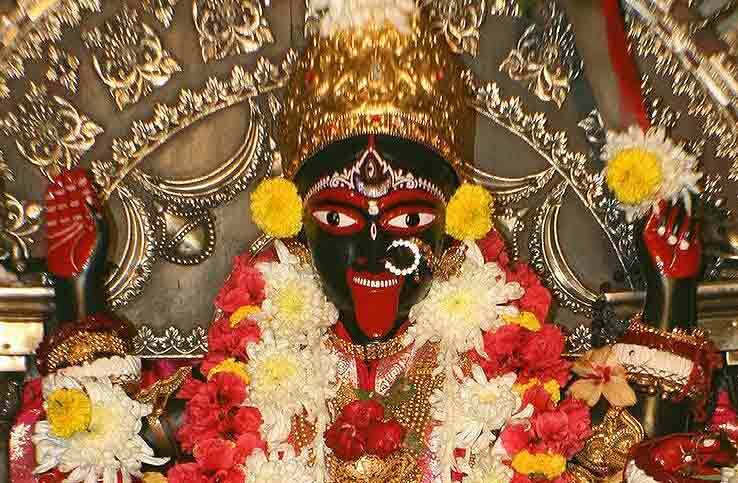 It is home to the goddess Bhavatarini, an aspect of Kali. 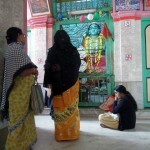 Bhavatarini means “she who liberates her devotees from the ocean of existence”. 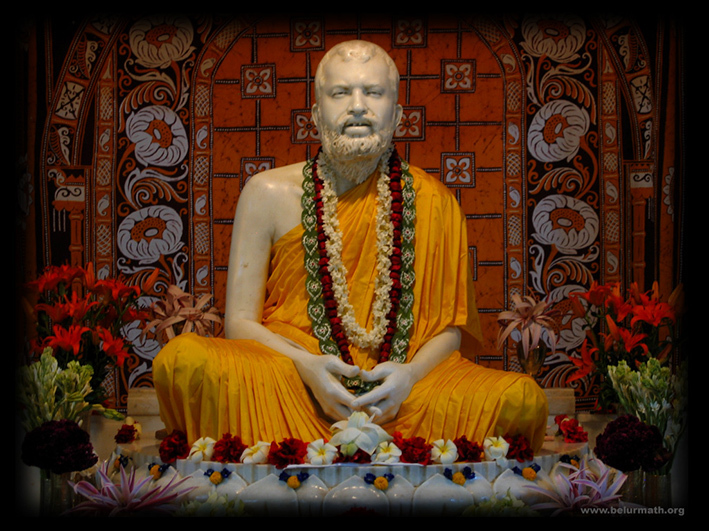 The temple is also renowned for Ramakrishna Paramahamsa, who officiated as priest there and whom Hindus regard as a saint. Howrah bridge deserves a word because Kolkata people are so proud of it. 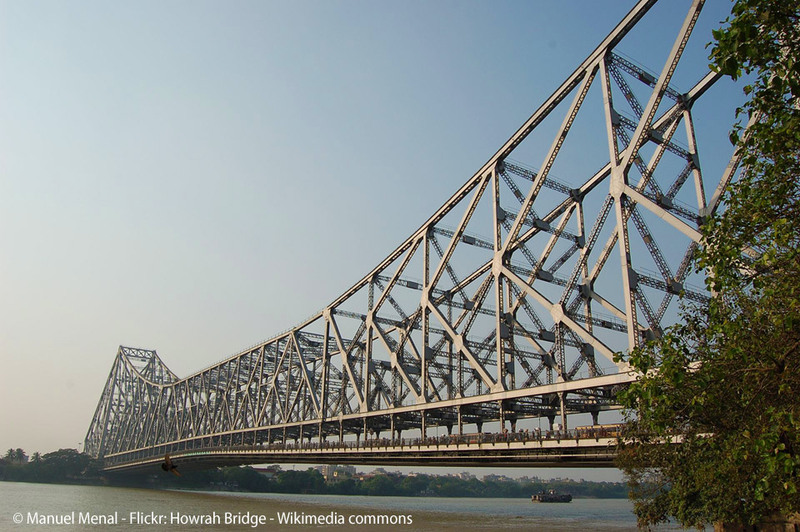 It is a cantilever bridge over the Hooghly river, and was opened in 1943. On 14 June 1965 it was renamed Rabindra Setu after the great Bengali poet Rabindranath Tagore, the first Indian (or indeed Asian) to win a Nobel prize, but it is still popularly called Howrah Bridge. Some 100,000 vehicles and 200,000 pedestrians cross it every day. It is the world’s sixth longest cantilever bridge. 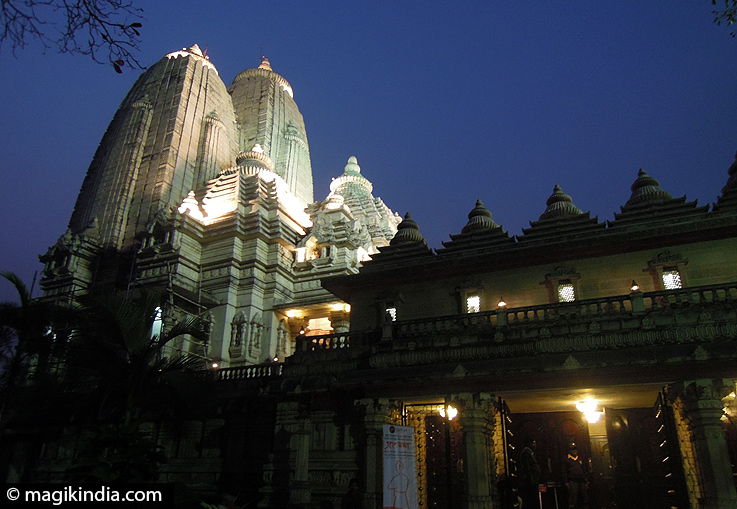 Some Indian friends introduced me to this little temple in Howrah: a lovely surprise! The entrance is nothing special but inside there is an astonishing sight. 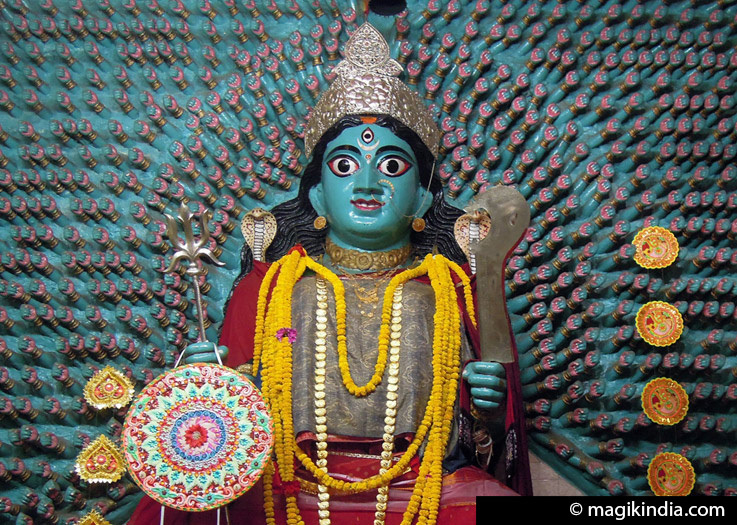 You are welcomed by an imposing blue statue of the Hindu goddess Kali, with wide, ferocious eyes and surrounded by 1000 hands (hazar hath). This statue is altogether unique.